This plan is holistic and collaborative. The program may incorporate information gathered from parents, teachers, counsellors as well as psycho-educational, speech and language, and occupational therapy assessments. Learning support utilizes a strength-based approach to intervention and remediation with a focus on HOW your child learns. Our remedial learning programs differ from traditional tutoring programs because we get to the root of the problem and provide remediation specifically to your child’s unique learning profile. A development of metacognitive thinking. Your child will learn how they learn. They will develop strategies to advocate for themselves and take responsibility for their own learning. Before the firs session, an individual assessment will be completed. This allows the teacher to pinpoint specific concepts and curriculum expectations with which the student is struggling. The information helps guide the teacher to effectively and efficiently help the student be more successful in reading. As many as 31% of children entering kindergarten with attention deficit or hyperactivity disorders (ADHD) will have difficulty learning to read. Initial problems in reading usually do not go away without intensive intervention and individualized tutoring. By 9th grade, over 50% of students with ADHD will have developed moderate to severe reading delays or other reading problems (Shaywitz, Fletcher, & Shaywitz, 1994; 1995). Early monitoring and early support for these students is critical if they are to progress with their age peers. This program is designed to address the needs of individuals in the areas of phonemic awareness, reading, spelling and comprehension skills based upon assessments and recommendations. Grades 1-3: 12 sessions/ 45 minute session – Monday and Thursday – 5:15-6:00 pm. Grades 4-6: 12 sessions/ 1 hour session – Monday and Thursday – 6:00-7:00 pm. Grades 7-8: 12 sessions/ 1 hour session – Monday and Thursday – 7:00-8:00 pm. The Resilience Builder Program is an evidence-based program designed to teach children skills, attributes and abilities necessary to adapt to hardships, difficulties and challenges and to better regulate their emotions. how to be proactive, take initiative, and think positively. how to identify what they are feeling and to express their emotions in more productive and appropriate ways (self-regulation). key communication skills that foster healthy relationships (ie., how to start and maintain conversations, read verbal and non-verbal cues, listen and respond to others with empathy, etc.). to identify what they enjoy and what they have accomplished that took effort and how to compliment others in their accomplishments. how to foster healthy and positive relationships with role models (e.g., Teachers, counsellors, grandparents, etc.). how to help your children become increasingly independent by coaching them to utilize skills learned in the program. positive parenting strategies that help you to better manage problematic behaviors and emotions. Resilience Club Ages 5-7 (Boys and Girls Group): Tuesday 5:00-6:00 pm – $650. Resilience Club Ages 8-13 (Girls Group): Tuesday 6:00-7:00 pm – $650. Resilience Club Ages 8-13 (Boys Group): Tuesday 7:00-8:00 pm – $650. Before the first session, an individual math assessment is completed. This allows the teacher to pinpoint specific concepts and curriculum expectations with which the student is struggling. The information helps guide the teacher to effectively and efficiently help the student be more successful in math. Grades 1-3: 12 sessions/ 45 minute session – Tuesday and Thursday – 4:30-5:15 pm. Grades 4-6: 12 sessions/ 1 hour session – Tuesday and Friday – 6:00-7:00 pm. Grades 7-8: 12 sessions/ 1 hour session – Monday and Thursday – 8:00-9:00 pm. Before the first session, an individual written language assessment will be completed. This allows the teacher to pinpoint specific concepts and curriculum expectations with which the student is struggling. The information helps guide the teacher to effectively and efficiently help the student be more successful in written language. Evidence-based research shows that struggling writers can improve their skills dramatically if they receive the detailed, explicit instruction they need. (Graham & Harris, 2005.) Such strategies can improve the writing skills of students with learning disabilities and are equally effective for individuals who just need extra help. Instruction is individualized and tailored to each student’s needs. Research shows that students become stronger writers through practice, so our students are given homework in between strategy sessions to reinforce their learning. Grades 1-3: 12 sessions/ 45 minute session – Tuesday and Friday – 5:15-6:00pm. Grades 4-6: 12 sessions/ 1 hour session – Tuesday and Friday – 7:00-8:00 pm. Grades 7-8: 12 sessions/ 1 hour session – Tuesday and Friday – 8:00-9:00 pm. Come hang out at the Joshua Tree Learning Centre the second Saturday of every month for Family Game Night! • Boosts learning and strengthens your mental muscles – Games help develop reasoning, strategy, planning, memory, number and pattern recognition, calculation, logic, abstract thinking and helps reduce mental decline, depression, Alzheimer’s and dementia. • Builds social skills including comaradery, teamwork, communication skills, following rules, turn taking, winning and losing. • Develops fine motor skills, coordination and muscle and nerve function. • Makes us feel better by reducing isolation and loneliness, and builds positive relationships with others. • Builds family cohesion by facilitating face to face interaction and participating in a positive experience together. Enjoying activities together strengthens the family bond and facilitates open communication. • Reduces stress, support mental balance and provide relaxation. The first Family Game Night will take place the second Saturday of every month from 6:00 pm – 8:00 pm. Snacks will be served. Admission is FREE!!. Games will be provided. If you have a game you would like to share and play with others, please feel free to bring it with you! All yoga groups are inclusive groups so children of ALL abilities are welcome to attend. Yoga classes will use picture books, movement, songs, music, mindfulness and breathing exercises. Classes run every Thursday evening beginning January 17 (6 sessions) at our new location (#208-3988 Albert Street). Family Yoga – families with children as young as 3 are welcome to participate! Yoga is great for toddlers too! Individual learning support times are available Saturdays and Sundays. Day and evening times are available. Cost is $50/hour. Our programs are OPEN meaning you can join the program at any time….not necessarily just at the beginning of a session. Homework can be very frustrating for students who struggle with learning. It can also be difficult for their parents who are trying to help and support them. Homework help is available Monday – Friday from 4:00pm – 5:00 pm. This is a drop in program. Please sign up online each day before dropping in to ensure there is space available. Stacey Adelman has a wealth of education and experience working in the fields of education and psychology. She is registered with the Saskatchewan College of Psychologists with Authorized Practice Endorsement (APE), which allows her to diagnose psychological disorders. Her claimed areas of competence are Educational & Counselling Psychology in which she can provide counselling, assessment and consultation for children, adolescents, adults and families. She is a member of the Psychology Association of Saskatchewan (PAS), the Canadian Psychology Association (CPA) and the Saskatchewan Teachers Federation (STF). All appointments are for 1 hour. 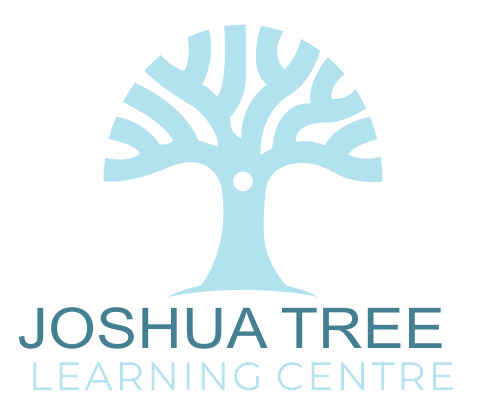 Book with Joshua Tree Learning Centre today. A Division of Stacey Adelman Prof. Corp.